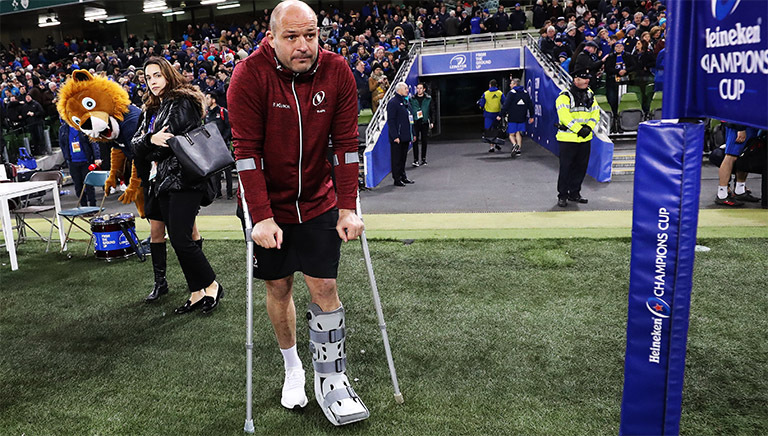 Ulster Rugby have confirmed that Ireland captain Rory Best suffered ankle ligament damage in their Champions Cup quarter final loss to Leinster on Saturday. Best limped out of the game after just 16 minutes and was seen in a protective boot and crutches not long after as Ulster went crashing out of the competition at the hands of their rivals, despite a valiant effort. The northern province are still awaiting the full results of his scan, but have confirmed he will miss this weekend’s PRO14 clash with Glasgow. There are even fears he could miss the rest of the season as Ulster look to seal a play-off spot. Or even worse – the World Cup. The news comes after Irish Rugby was hit with a hammer blow yesterday with Dan Leavy set to miss the World Cup after injuring his knee in the same game.